“Corporate Fraud Insights”, 2017 Michigan Association of Certified Public Accountants CPE Mega Conference for Industry, Livonia, MI February 2017. “Finding Hidden Assets and Income in a Forensic Investigation”, 2016 Michigan Association of Certified Public Accountants, Spring Accounting & Auditing Conference, Lansing Michigan, May, 2016; Troy, June 2016. “Anatomy of Recent Frauds – How People and Organizations Steal and Cheat”, 2015 Michigan Association of Certified Public Accountants, Spring Accounting & Auditing Conference, June 2015. “Finding Fraud During A Divorce”, Webinar presented on behalf of the Michigan Association of Certified Public Accountants, August, 2014. “General Elements of Forensic Accounting”, 2013 Michigan Association of Certified Public Accountants, Anti-Fraud Issues Conference, May 2013. 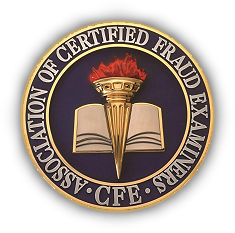 “The Kwame Kilpatrick Trial – The Financial Forensics”, 2013 Michigan Association of Certified Public Accountants, Anti-Fraud Issues Conference, May 2013. “Forensic Accounting/Litigation Support, a Different Type of Engagement”, 2011 BKR International, Americas Regional Meeting, Quebec City, Quebec, Canada, May 2011. “Characteristics & Skills of the Forensic Accountant”, with Gerald Humes, 2011 Michigan Association of Certified Public Accountants (MACPA) Fraud Issues Conference, May, 2011. “CSI with Calculators….Forensic Accounting & Fraud Examinations”, 2010 MACPA Current Accounting Issues Conference, Troy, Michigan, June, 2010. “Forensic Accounting vs. Fraud Examination”, 2010 MACPA Mega Conference, Sterling Heights, Michigan, May, 2010. “Fraud in Manufacturing Companies”, with Chris Gallo, 2008 BKR International Manufacturing Conference, Las Vegas, Nevada, September 2008. “Fraud in Divorce Cases”, with Henry Cendrowski, 2008 Michigan Association of Certified Public Accountants (MACPA) Fraud Issues Conference, May, 2008. “Forensic Accounting”, WMTV5, The Legal Insider Show, Interviewed on current issues relating to forensic accounting work in the legal profession. September, 2007. “Fraud in the Construction Industry: What to Look For”, 2006 MACPA Construction Industry Conference, October, 2006. “What to Do When You Find a Fraud: The Basic Fundamentals”, 2006 Michigan Association of Certified Public Accountants (MACPA) Fraud Issues Conference, May, 2006.